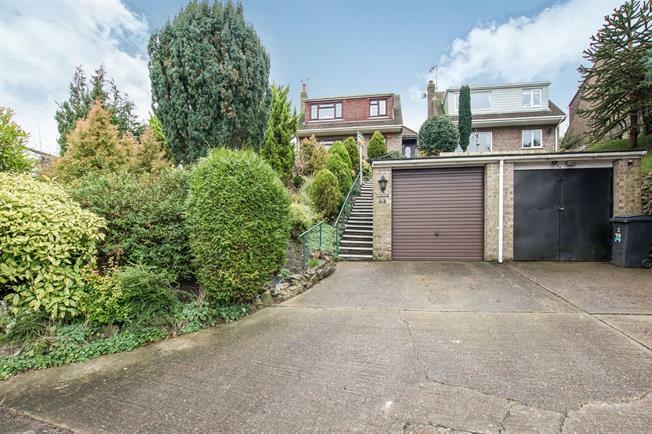 3 Bedroom Detached House For Sale in Dover for Asking Price £300,000. Be quick to view this detached family home which is ideally located in Lydden. Fabulous countryside views are to be enjoyed from the front of this property and this chalet bungalow has parking for 3/4 cars and a garage. Once inside you will not be disappointed, there are three good sized reception rooms on the ground floor as well as a well fitted kitchen/breakfast room. There is also a large porch and a ground floor cloakroom. Upstairs there are three really good sized bedrooms and a 4 piece family bathroom with separate shower.